Sponsored by the Gaudino Scholar and the Gaudino Fund in 2008, 2009, and 2010, this Winter Study travel course will allow a small group of students to live in Portland, Maine for the month of January 2011, where they will experience and explore the impact of over thirty years of refugee resettlement in the ‘whitest’ of the United States. 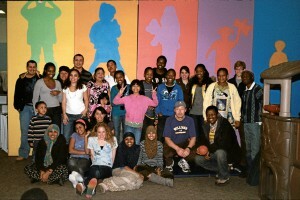 Each student will live with a refugee family from one of the dozens of countries represented by the refugee communities of Portland, and during her or his home stay will encounter first-hand the issues confronting recent immigrants to the United States from Southeast Asia, Africa, Eastern Europe or Latin America. While only 4 hours from Williams, Portland students speak almost 60 languages in the school system. 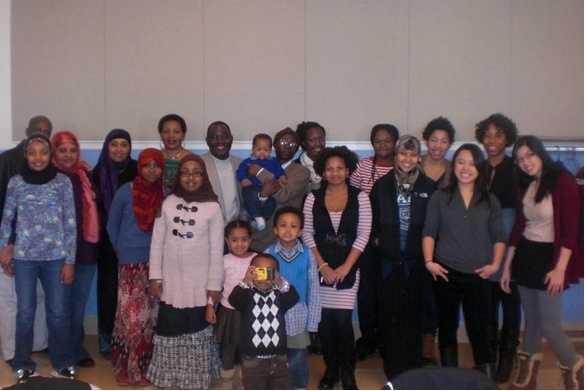 WSP students will keep a daily journal to record their experiences with their refugee family and working weekdays the schools or nonprofit organizations that serve them. 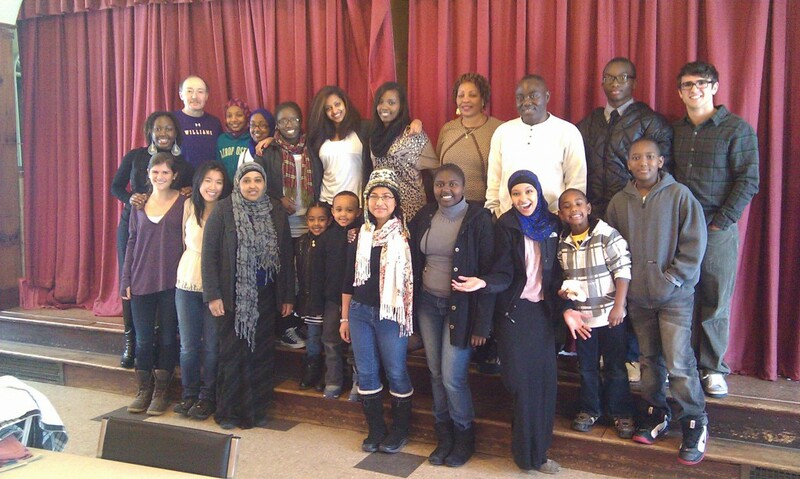 Students will be exposed to such issues as race, ethnicity, and national identity; the interplay of public and private values; and the wide variety of educational, health, governmental, and religious agencies and providers serving refugee families Students meet weekly with the course instructor to discuss how their experiences are going; they will also attend arranged community meetings or events. 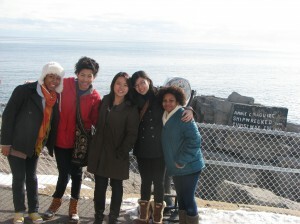 Students as a group will also have time in Maine at the beginning of the program for an orientation session, and at the conclusion to share experiences with each other and write a short reflection paper. Jonayah Jackson’12 lived with an Ethiopian family with 3 host sisters, and worked at Portland Adult Education (for Rob Wood’74) with a number of classes of refugees and immigrants learning English, computer and math skills. Anh Nguyen’13 lived with a Congolese family, with two young host brothers, who had hosted Jason Rapaport’11 the previous WSP. Anh worked at the Portland Community Health Clinic, a new program providing health care to low-income residents of Portland, many of whom are refugees and immigrants. Anh also, as part of her job, worked with victims of torture suffered in their home countries. Jenny Tang’13 lived with a Burundian family and three host siblings, while working at Portland High School in a variety of classes of students learning English. of classroom settings with children from all over the world. Ginette Sims’13 lived with a Somali mother and her three children, who had previously hosted Natalie Davis’13 and EllyTeitsworth’11. Gigi worked at another Portland Middle School in ELL classes, with children from more than a dozen different countries. Jenny Coronel’10, a daughter of Ecuadorian immigrants, spoke of having done a program in Morocco and becoming interested in migration issues. She wanted to learn about United States refugees, so the WSP was perfect. She lived with a Cambodian family, and worked at Portland High School with students trying to learn English. She had students who did not know how to hold a pencil because they had not been taught how to read or write in their home countries. Jenny said she learned a great deal from her month in Portland. 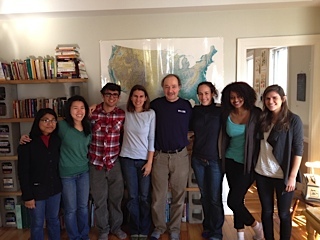 Emily Schwab’12 signed up for the WSP to learn more about America. It was a very eye-opening experience. She lived with a large Congolese family. She worked at Riverton Elementary School, where over half of the students are English language learners. She worked in a fourth grade classroom. This was the first year that all ELL kids were mainstreamed. Of the 28 kids in the classroom, 17 were ELL–they were from places like Iraq, Cambodia, the Congo, El Salvador, China, and Somalia. Overall, the kids mixed well. 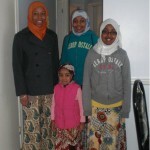 Natalie Davis’12 lived with a Somali family of three kids and a single mother. She took on a lot of responsibility to help the mother. She worked at King Middle School; some of the kids in her ELL class spoke no English or knew virtually no math. Kids were from places like the Dominican Republic, Burma, Somalia, and Iraq. Natalie had done a home stay in Tanzania the year before, and was interested in learning more about American immigrants. Since her return to Williams she has been shocked by how unaware many people are of immigration and refugee issues in the United States. Natalie had a very intense experience; the family was Muslim, and Natalie was able to see the religion practiced from a woman’s perspective. The month left her emotionally drained and exhausted; she likes to solve problems, but saw there was much for which she did not have control over. Healthcare issues, financial resources were all incredibly frustrating. Bianca Martinez’12 is a single child in a single-parent family; thus, living with a Rwandan family of 9 was quite a shock for her. Her host parents wanted to hear a lot about her college experience, and there were two 15-year old girls in the family for whom Bianca was sort of a role model for what you can do in America. Bianca worked at a relatively new experiential high school, Casco Bay High School in Portland. There were kids there from the Sudan, Kenya, Rwanda, Dominican Republic, and Cuba. There were students she met who had been in school in their home countries while other students had never been to school. Bianca learned to balance being a friend, mentor, and teacher. She is short, so many thought she was an eighth grader herself! Jordan Freking’12 has an academic and personal interest in identity issues. What does it mean to be American? The WSP gave him a new way of looking at America. He worked in 4 different classrooms at Deering High School, including Reading, English, and Math. 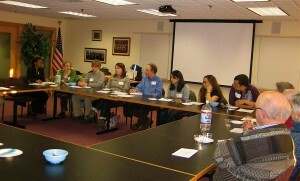 Students were from places like Iran, Iraq, Pakistan, the Sudan, Somalia, Liberia, and Cambodia. Two of the most recent arrivals were brothers from Azerbaijan. They had been to school, but did not know English. Jordan felt they were smart, but they had a hard time being able to show that. Jordan worked with two Iraqi kids the most, who did not really understand why they had to go school. He tried to get them focused. Jordan said his friends at Williams teased him about coming to Maine in January for a WSP, said it was “so lame”. Jordan said it gave him a view of New England he did not know existed. With International WSPs everything is “over there”, versus with a WSP in Maine with refugee and immigrant families it is all “here”. He said so much is going on here that we need to understand. 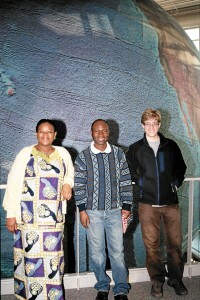 Jason Rapaport’11 lived with a Congolese family. He was immediately made part of the family on his arrival. When one of the parents gave up a bed for him to sleep in, Jason offered to sleep on the couch but they insisted that it was required that he, as a guest, not do so. His host father worked until about 2:00 am, but insisted on getting up to have breakfast with Jason every morning. They had constant and intensive conversations about religion, politics, life in the US, information about the world. His host parents were curious about everything. Jason learned about the Congo and injustices. His host parents were political prisoners who had been tortured in prison. His host father has “adopted” the US, wants his children to be fully part of America. He is coming up for his asylum hearing shortly, and told Jason that he would rather be in prison in America than be deported back to the Congo. His passport stamp means the world to him. Gaudino Board Trustee James Mathieu asked how the WSP influenced the students’ choices of courses at Williams. Jordan said he is increasing his focus on immigration; he’s taking a Latinos in California course. Emily said she would like to see a Williams-at-Home offered again at Williams, but in its absence is going to spend a semester in Argentina. She’s taking a study of immigration course as well. Natalie is interested in public health, and the WSP increased her awareness of the “uninsured populations”. She wants to restart taking Spanish because she saw how huge a problem language can be. Her host little brother, who was 5, had a high fever while Natalie was in Portland, and her host mother did not know how to respond to it. Bianca said she’s going to take a semester away from Williams to do a multi-country program, where she spends 5 weeks in 3 large cities in 3 different countries. Jason, who is going to medical school, is more deeply committed to having diverse experiences with people in need (not only health care, but otherwise).